The RS 1.0 opens up at the rear, so instead of putting it on like a traditional lid, the shell closes shut over the head before locking together. 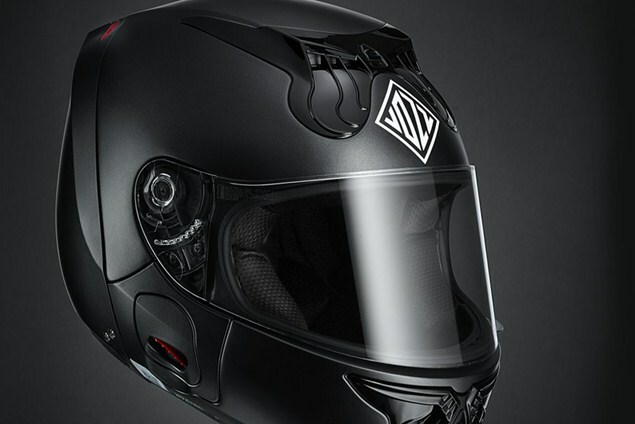 The helmet’s maker say its design means reduced wind noise because it’s harder for wind to get inside the helmet and that because of the RS 1.0’s fit and aerodynamic shape, users won’t experience buffeting at high speed. It’s got DOT and ECE certification, and is certified for use in Australia and New Zealand. Currently it’s only available in Australia and costs $888, but according to the Vozz website and its Facebook page, it will be available elsewhere round the world next year.